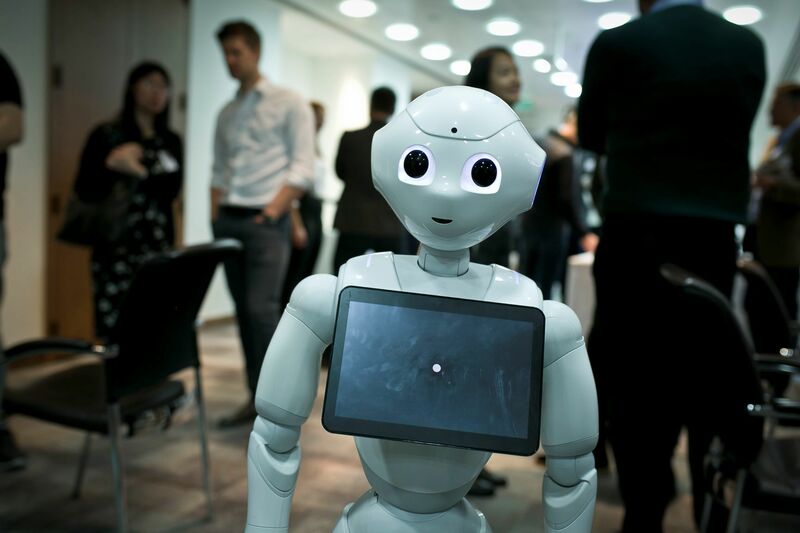 On November 16th, we held our members' session on AI, Automation and the Future of Work saw over a hundred change makers from leading organisations in the UK congregate at the offices of Baker McKenzie, to discuss the leading issues around the Future of Work. Here are the four key takeaways from the event. The increasing availability of breakthrough Digital and AI technology has allowed us to gradually move away from our previously fixed styles of work. For instance, Sheffield Robotics (whose head professor Tony Prescott opened the day’s proceedings- and was a key highlight of the day), brought along a fleet of robots that interacted with attendees who were able to immerse themselves within a robotic avatar that they could use to navigate the room- projecting their own voice and movements through the machine. This was further supported by Chelsea Apps’ Adam Scott, who spoke about AI supported working applications- that help boost collaboration and workplace communication without requiring employees to be in the same room as one another. The fluidity of work was, however, substantiated by Satalia (now a second-time speaker at DLF due to popular demand), an innovative AI company that has used AI and complex algorithms to break conventional management structures within its organisation. Satalia has done this by ensuring that vast amounts of employee data are available through the use of development and collaborative tools- which is then fed back into an overarching system to pinpoint the strengths and weaknesses of the team. Employees then help one another grow in necessary areas and bounce off each other’s strengths- with leadership roles changing from project to project. What is key to note, is that management under Satalia’s revolutionary system has not been shelved altogether but has instead become fluid- with each individual given a chance to take the reins depending on their own skills and experience and the needs of the organisation. In an increasingly accelerating digital world, which is cutting out the need for physical proximity in the workplace, many speakers argued that the key challenge was bridging a technological gap with their employees. ‘We’re building a plane as its flying’, explained Baker McKenzie’s Ben Allgrove as he ventured into the uncertainty that comes with breakthrough technology. Ben argued that the solution is to reach out to slow adopters in interesting and creative ways. Baker McKenzie, for instance, reached out to members of leadership during an annual conference in Washington by setting up an innovation counter- stocked with branded hoodies and themed badges, which to their surprise aided the engagement with nearly 70% of the leadership over the course of the conference. 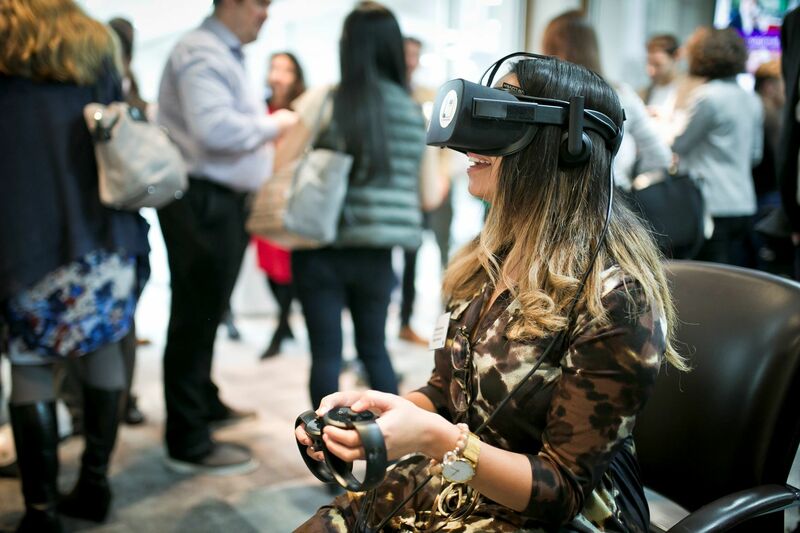 Many were enticed by the quirky marketing and collectibles and then stayed on for fascinating conversations around technology that is changing the way we live and work- bridging a seemingly unbridgeable gap over a matter of days. This idea was further substantiated by Dell’s CTO Arash Ghazanfari, who strongly vocalised the importance of bodies such as the Digital Leadership Forum during his closing remarks- stating that it was vital for individuals across industries to be meeting and discussing ideas around changes in the way we work and live. The many newfound technologies that we utilise are used in differing ways and to different degrees across organisations and sectors, making these conversations even more necessary to avoid organisations being left behind. The growth rate of technology, it was argued on the day, would also lead to a stronger understanding and emphasis on what it means to be human. Sheffield Robotics showed us how their prototype of a robot built to mirror a rat’s brain and behaviour, could then be used to gain a stronger understanding of how to build any mammal brain – including, in theory, artificial human robots and brains. The creation of increasingly complex robots (using mammalian brains) also opens the doors to further understanding the human brain and behavior. The afternoon panel made up of Dell’s CTO Arash Ghazanfari, AB InBev’s Michael Codd and Bupa’s Nigel Green- really delved into how AI and automation technology has changed the way we live and work. The future of work, according to our specialist panel, will revolve around AI and robots doing parts of our jobs that we are not only less accurate with successfully achieving, but also less enjoyable to most humans- leaving us with more time to engage with the intellectually challenging, creatively inclined and empathetic parts of work. This was further supported during Digital Genius’ presentation- which showed us that using intelligent AI can reduce time spent on customer service cases by 50% as problems with simple, previously resolved answers were provided quickly and efficiently by machines- allowing customer service agents to use their brainpower on problems that were genuinely unsolved and required both critical and creative thinking. Despite all the fears around the changing world of work, AI and Automation, the outlook according to both Tony Prescott from Sheffield Robotics and our three panelists from Dell, Bupa and Ab InBev- is positive. AI and automation have begun generating a new class of jobs across industries, along with generating the time for employees to focus on work that that requires intellectual and creative skills. Tony Prescott argued, however, that this does not mean that people aren’t being left behind. He pointed out that whilst job complexity has increased over the last few decades, wealth inequality has also skyrocketed- an issue he argued could be worsened by AI and robotics unless we take action. He argued that evidence shows us that this technology can be wisely utilised to close the gap- and ensure that more people are both employed in more meaningful work whilst also having more free time to pursue their own goals- resulting in a more well-rounded global society over the next few decades. The key, however, is taking action. Action to understand and spread the knowledge of the technology, and how it can effectively be used to drive business growth and innovation. This was also echoed during the closing remarks made by Justin Hunt, founder of the Digital Leadership Forum, who pointed out that by being members of large organisations we both have the control and responsibility to ensure how this technology is applied across society, and not the other way around. 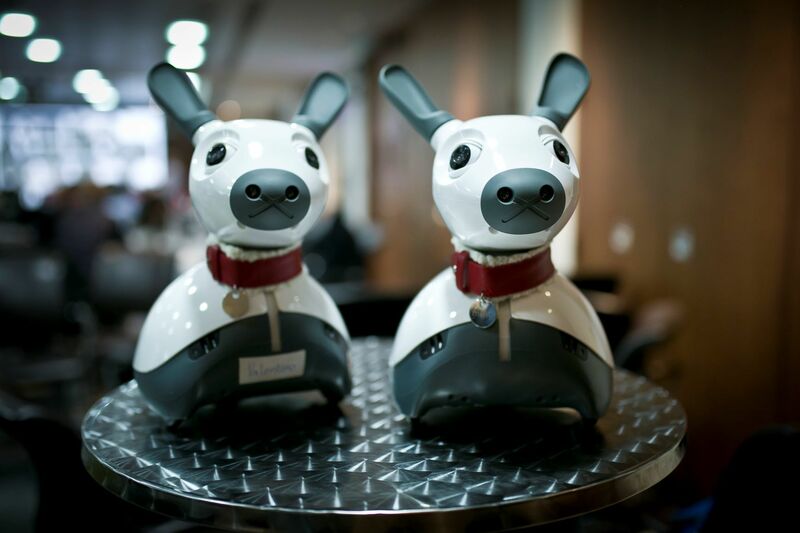 “Always remember, we are in charge” he elucidated, as another successful DLF session came to a close- when attendees were able to share drinks and interact with robots Pepper, Nao and Miro. This session was organised by the Digital Leadership Forum; a community of innovative digital leaders from world leading organisations. We help our members and their organisations to innovate and grow in the digital age. 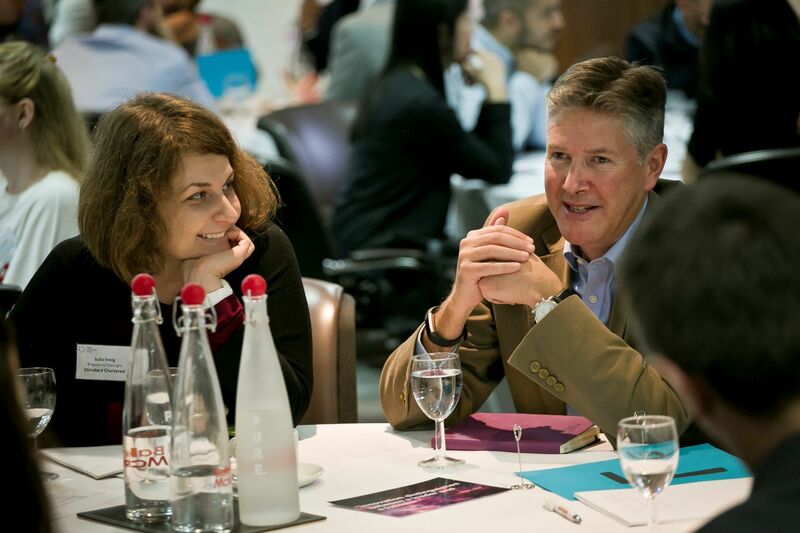 We do this by designing and running highly interactive, collaborative and inspiring sessions where our members can share experiences and gain valuable insights to help support their digital strategies. We tackle a range of core strategic business issues including digital transformation, artificial intelligence and automation, digital marketing strategies; the future of work, and diversity in the workplace. Members range from Barclays and Dell though to Unilever, GSK and Lloyds Banking Group.